Exterior doors are durable fixtures that can stand up to any weather, yet still have the appeal to make a great first impression. It can be difficult to find the perfect one for your home, but the good news is that we’re here to lend a helping hand. Here your replacement doors experts from Renewal by Andersen® of Louisville/Lexington offer tips to help you choose the right exterior door. Your choice of door material impacts the fixture’s beauty and performance. While wood doors exude a warm look, they vary in terms of cost and quality. If security is your top priority, a steel exterior door is an excellent choice due to the toughness and durability of the material. Fiberglass doors, meanwhile, display low-maintenance qualities, and can even take on the properties of wood. Renewal by Andersen of Louisville/Lexington offers top-notch ProVia® steel and fiberglass entry doors. In addition to having high weather resistance, these doors don’t require a great deal of upkeep, making it easier to preserve their unmatched beauty for longer. Another important aspect of choosing the right exterior door for your home involves taking note of the structure’s architectural style and color scheme. Your entry door is one of the first things a visitor will notice when they see your home’s exterior, so you need to choose one that creates a great first impression. Our ProVia entry doors are available in a wide range of designs, colors and finishes. Each door is hand-stained and has unique decorative glass with handcrafted artistic patterns and designs. They’re also completely customizable, so you can make your exterior door truly your own—a centerpiece for your home’s exterior. Examine the features of each door you look at to see how they compare to other similar products on the market. Not only must the door be easy to use, it should also display exceptional energy efficiency and ensure the utmost protection and security. Our entry door options are ENERGY STAR® rated, contain the best weather seals and are insulated with thermally efficient materials to keep you comfortable while also saving you money. In addition. 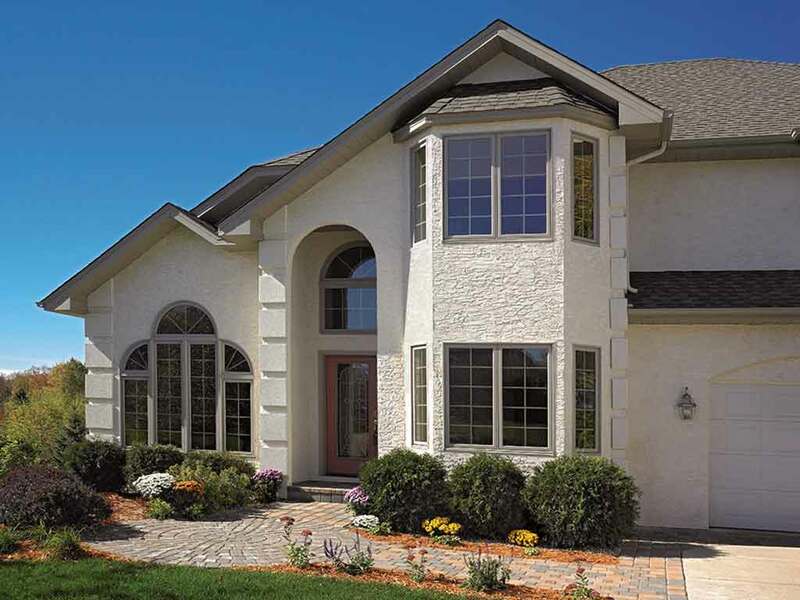 the exclusive Comfortech® glass packages our doors offer will help ramp up your home’s energy efficiency. Turn to Renewal by Andersen® of Louisville/Lexington when looking for entry and patio doors, where you can expect high-quality products and installation from our pros. To get started, give us a call at (502) 716-7264 if you’re in Greater Louisville, (859) 629-4649 if you’re in Greater Lexington or (270) 215-5825 if you’re within the Evansville/Owensboro area. You may also fill out our free consultation form found at the top right side of this page.